Speaking of the most trendy play in Edo(Tokyo), it’s still boating play. The boat is a small skiff boat called “Chokibune” and “Yakatabune” a Japanese style roofed boat on which many people can ride. It is a fun game to watch from the boat through Hanami (cherry blossom viewing) in the spring, fireworks in the summer, autumn leaves in the fall, and snow in the winter. 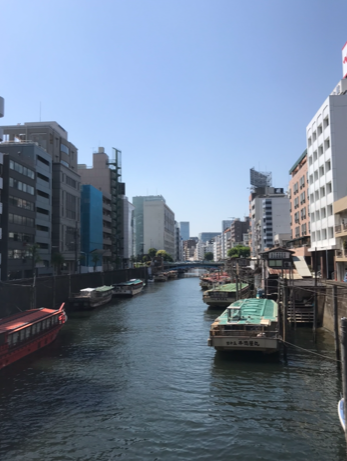 This is the fact that there is a large, gentle flowing river called Okawa (former name of Sumida River) in Edo in the city, which would have brought a play that can’t be enjoyed in other towns. After all, the popularity at that time was the small, fast-moving “Chokibune” (boat) that looks like a fang of wild boar. Even though it is fast, it does not carry an engine like a modern motor boat, but it is a boat with rowed by dashing boatman. This boat is often used especially for dating, and it has been used for lovers and for the first date etc. when it becomes hilarious. Therefore, the boatman must know not only the course of the river but also the road of love. In other words, along with the flow of the river, it is essential to give nice touch to the couple. When it says this, rowing the boat with singing a stylish song like BGM. You can enjoy boating like a Yakatabune even in the modern Okawa, but if you don’t get on a boat, you can enjoy boat race with one of the world’s three major regattas, with a history of over 100 years starting in 1887 there is a college regatta competition between Waseda University and Keio University. 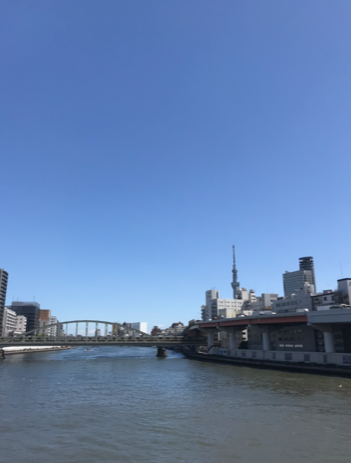 This year the 88th event is scheduled for April 14th, and the goal point in the 3750m competition is near the Sakurabashi Bridge at Sumida River. How about coming to see this traditional boat race by all means along the riverside? At this time, we recommend to wear navy blazer jacket that has a long history in this boat race, which would be the best. IKIJI’s navy jacket follows the one-piece tailoring worn by the boat members of Cambridge University, England, which is also the birthplace of blazers, and a unique sewing method called IKIJI stitch to flatten the world unlike any other. The seams are flat and you don’t notice it, so it’s a stress-free way of making a piece of fabric. This is a jacket that can be worn in a stylish style and worn in style, and it is also best to match IKIJI’s polo shirt with a true value, or fit a fleece hoodie if you feel a little wind.